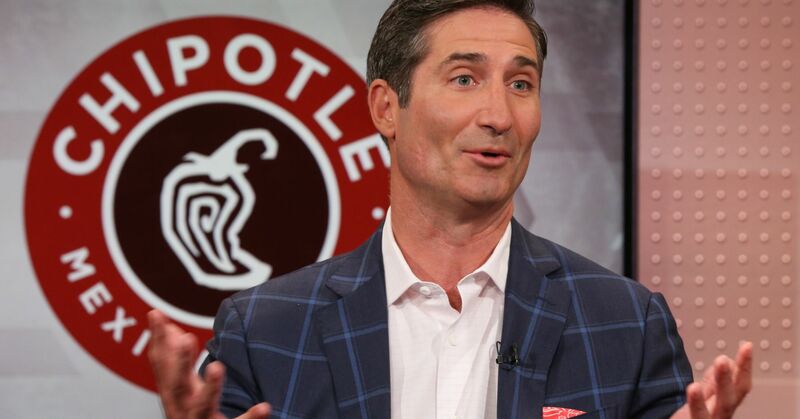 Less than a year after taking over as CEO of Chipotle Mexican Grill, Brian Niccol has helped reshape the once beleaguered burrito chain, improving sales and fueling the company’s best stock performance in five years. Niccol told investors at the ICR Conference in Orlando that he hopes he’s making the brand more visible and reminding consumers why they liked Chipotle in the first place. It’s no secret that Chipotle has struggled in the past. A series of foodborne illness outbreaks three years ago crippled the stock, which once hit a high of nearly $759 a share. These days the stock is just over $500, having recovered from a 52-week low of $247.52 last February. The change has come as investors gained confidence in Niccol’s ability to turn the brand around. Since joining Chipotle in March, Niccol has championed upgrades to the company’s mobile app and in-restaurant technology. His goal has been to remove friction so that food gets to customers faster. He’s also pushed for more menu innovation, stronger marketing and bringing in new talent to staff its corporate finance, operations and digital teams. When Niccol was CEO of Taco Bell, he launched the company’s mobile ordering and payment program and reached an agreement with franchisees to finance new tech initiatives, like self-serve kiosks and expanded delivery. At Chipotle he has advocated for updating the chain’s kitchens with a separate prep station for digital orders. He also added digital order pick-up shelves and is testing drive-up windows designed for guests to pick up the orders they’ve placed online. Niccol’s goal is to make ordering from Chipotle easier and more convenient. Now, around 11 percent of all Chipotle’s sales come from online orders. This is a good trend because online sales tend to be higher and customers who use the app tend to be more loyal. Niccol also wants to remind customers who have left the brand what made them fall in love with Chipotle to begin with. While Chipotle is spending about the same amount on marketing as it was in years prior, the company has been allocating those funds to television advertisements and social media engagement, Jack Hartung , chief financial officer for Chipotle, said Tuesday. For example, Chipotle did not sponsor a college football bowl game this year, but advertised heavily during each game. “We are taking the budget and putting it where people see it,” Hartung said. Niccol said that going forward, the company will be more focused on national advertising campaigns rather than local campaigns. It has long been a company with a simple and fixed menu. In its more than 25 years, the restaurant has only added a handful of new items or proteins. Hartung said this trend will continue, but there will be some innovation coming down the pipeline. Items like nachos, tostadas and chocolate shakes are already in testing phases. However, Chipotle is taking a very measured approach when it comes to rolling out these items. Dubbed “stage-gate,” Chipotle starts by introducing a new menu item to a handful of restaurants. It gets a sense of how consumers respond to it and gets feedback from their supply chain before they transition it to 80 to 100 locations. If the item fairs well in those restaurants, it will likely be launched nationally. Niccol said the company wants to make sure it is launching new items “on its front foot,” not its back foot. 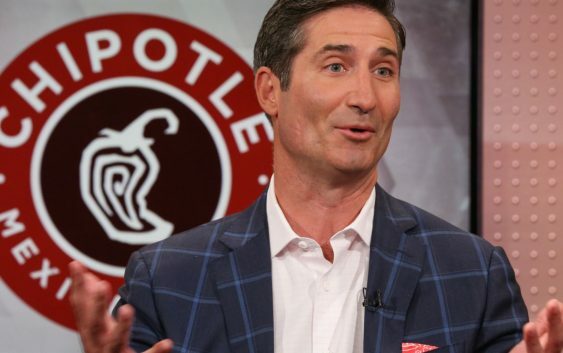 While Niccol did not directly address the troubles that Chipotle has faced before he arrived, it’s clear he is actively working to repair the company’s image. One way has been to hire new corporate employees to run the finance, operations and digital teams. Chipotle is in the process of closing its Denver headquarters and opening a new space in Newport Beach, California. The move was designed to attract talent and reduce costs. Hartung echoed these sentiments, noting that the new hires bring not only a strong level of talent and experience to the brand, but also enthusiasm. Equally important, is Chipotle’s workers at its restaurants. These are the people that everyday customers will interact with and it’s important for the company to make sure that not only does the front line run smoothly, but that the employees are hospitable and enjoy their work. “If we win at the line, people come back,” Niccol said.